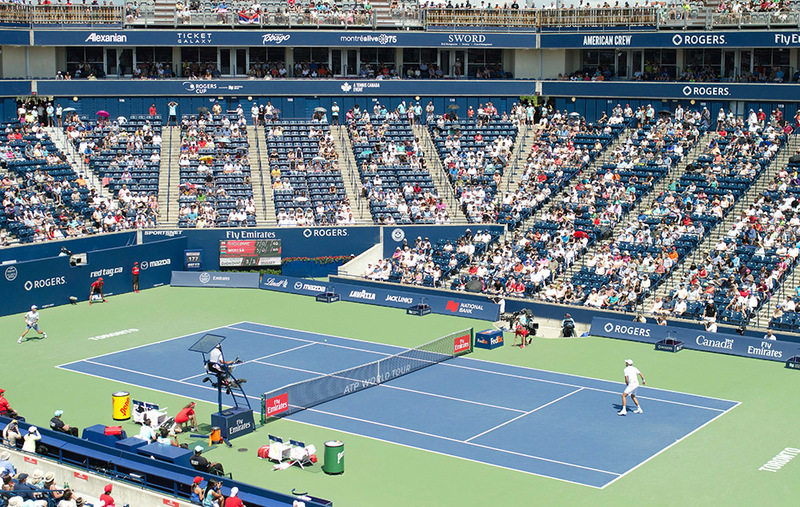 Toronto and Montreal are home to Rogers Cup. Both of these cities interchange where women and men compete for the coveted cup. 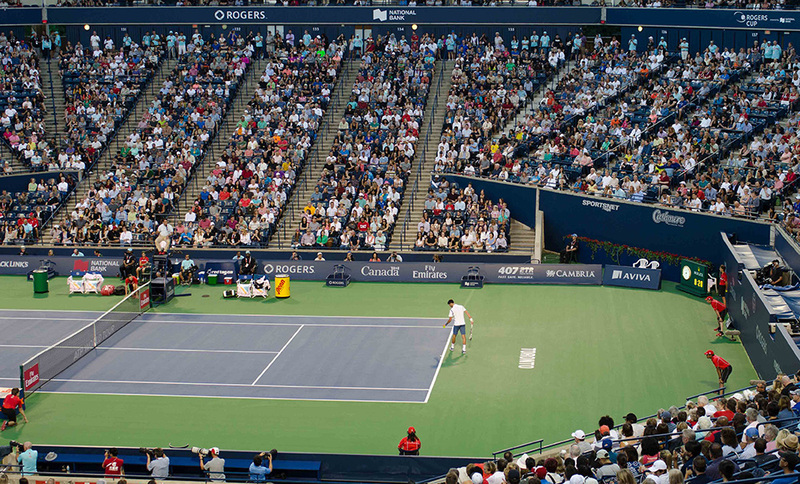 It’s also where tennis fans like myself get the opportunity to see our favorite tennis stars close to home. I have been a tennis fan since I was a child. My mother signed up both my brother and I at a local tennis club on the west coast. I remember waiting for over a year until they had two spots available for the both of us and basically flying through the classes because of the countless hours I spent practicing at the local tennis court. That was the same year I was enrolled in my first tennis competition and needless to say, I didn’t win…I was however in the top five. I kept playing the game until I got into university. My schedule got pretty hectic so I didn’t have to time to juggle my studies and playing on the courts; something had to give and sadly it was tennis. Last year I found a local neighborhood court and I picked up the game again, thanks to the hubs. Last year National Bank of Canada, one of the largest sponsors at Rogers Cup, sent me to watch my very first tennis game live. I had the amazing opportunity to watch Serena Williams play. This year, I got to watch Djokovic play in the semi-finals. The match was amazing, even the fireworks display done to congratulate Djokovic winning the match and heading into the finals was impressive. 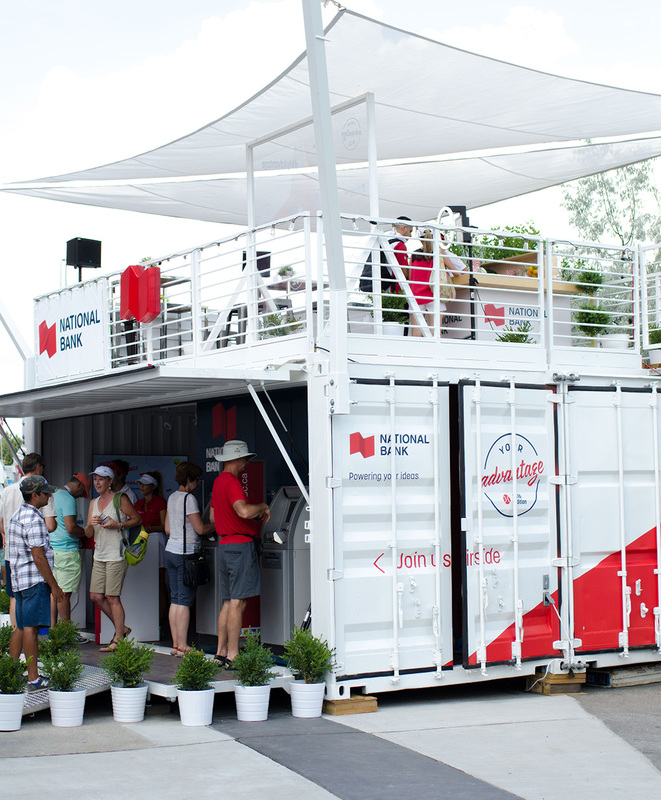 Before watching Djokovic battle it out with Monfils, we hung out at the National Bank booth for some drinks to cool off after spending time out in the blistering hot sun. I gotta say, the location of the booth was perfect! Not only are they located steps away from the main courts, but you get also get an amazing view of the game thanks the big screen in front of it. By the way, the lounging area is all directly above the booth. The booth itself was pretty sweet with an interactive tech booth that you can take full advantage of with a pair of special glasses. The booth is free to visit so make sure you stop by and check it out. Oh, did I mention we made some friends right before the coveted match and they invited us to join them in the private suite. Kind of a nice way to end the day, right?